Measurements of concrete formwork (shuttering) is required for payment to the contractor for the concrete work completed. The payment to contractor depends on whether the cost is included with the concrete construction per unit quantity or formwork is paid separately, as mentioned in the conditions of contract. The formwork is measured in terms of area that is in contact with the concrete surface. For example, the formwork for concrete footing will be calculated as the surface area of four sides of foundation only. Bottom of the footing is resting on earth, there is no need of any formwork and top of footing is open. Similarly, for a reinforced concrete beam, the measurement of formwork will be taken as the combined surface area of two sides and bottom of the beam. Normally, the forms are used more than once in concrete construction. But the payment is calculated based on the total contact area of the formwork with concrete and reuse of the forms is not taken into account. Thus, the price per unit area of formwork can be reduced for reuse of the forms. Aluminium and steel forms are reused for many number of times than wooden forms. Complicated shape of concrete makes the formwork installation costlier than the simple formwork installation because of labor cost and inability to reuse these forms. A construction plan is required to reuse the forms maximum number of times to make the construction cost effective. 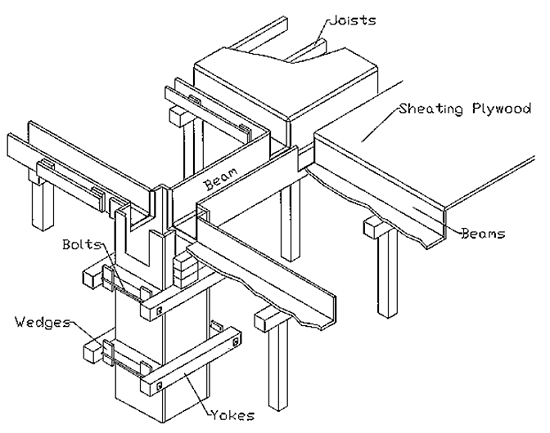 Formworks are measured in terms of area. So any unit such as square meter, square foot, square centimetre can be adopted. 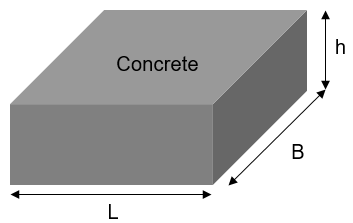 But generally, square meter and square foot of the contact area with concrete is taken as the unit of measurement. The dimensions of a formwork should be measure correct to the centimetre or inches whichever the case may be. 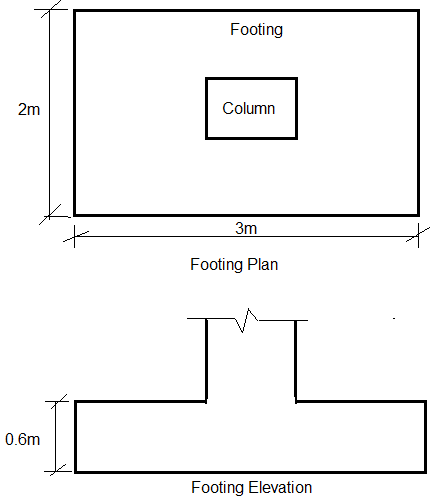 Foundations, footings, bases of columns etc. and for mass concrete and precast shelves. Walls of any thickness including attached pilasters, buttresses, plinth and string courses etc. Suspended floors, roofs, landings, shelves and their supports and balconies. Columns, pillars, posts and struts.